I have been in a mega crafting mood lately. So I decide to finally sit down and finish a project I had been wanting to finish for a while now. After spending last weekend with my mom and aunt going on a shop hop to different quilting stores I finally found the right fabrics for what I was needing. It seemed like fate. 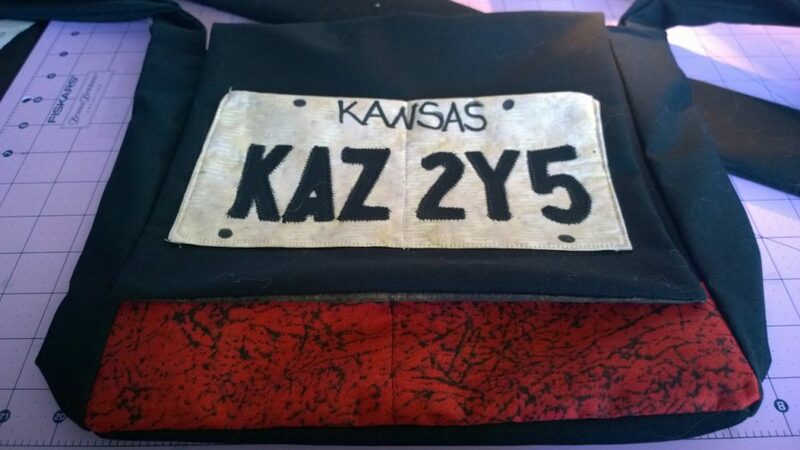 I was finally able to work on my purse, inspired by the Supernatural Impala. I had hinted in a post a few weeks ago about a craft project I was ready to start. Even posted a sneak peek picture of it on instagram. 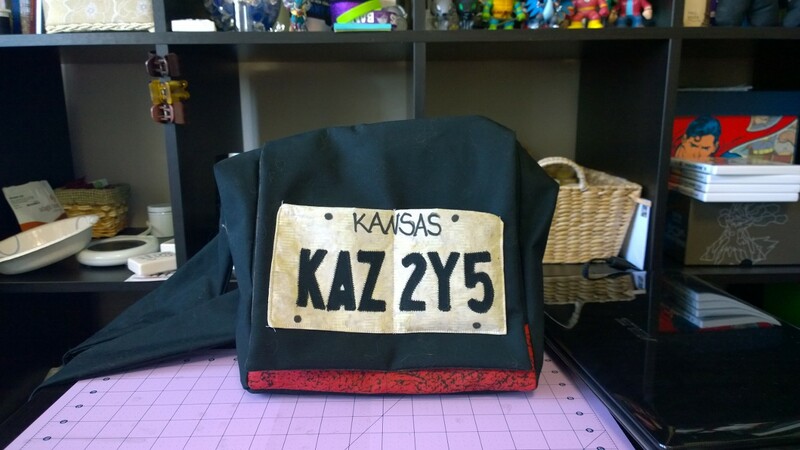 I have been thinking about doing this bag for a while now. It probably won’t be recognized near as often as my TARDIS bag, but I thought there was another form of transport from a different fandom that deserved a little love. So Saturday, I ran to Joanns got the rest of what I needed and began cutting everything out. If you know anything about sewing you know that cutting things out is basically the worst part (aside from having to unstitch everything). After everything was cut out I realized that I had promised to make a TARDIS bag for my uncle and that I should probably do that first. 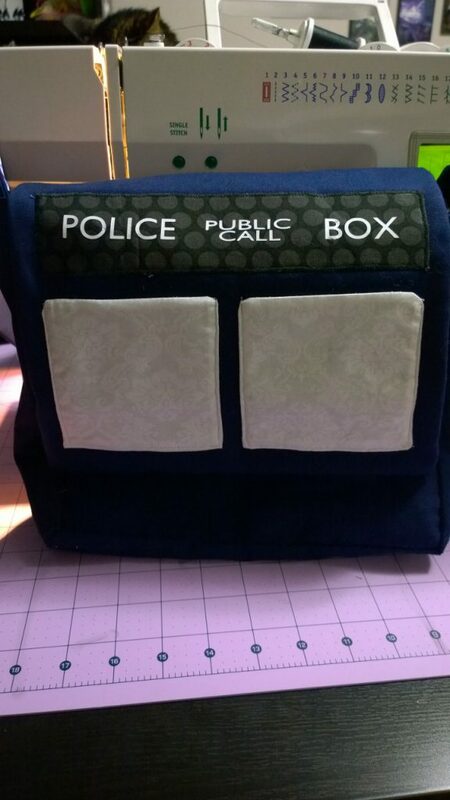 I spent all Saturday making a new TARDIS purse. I finally have everything down to a science and I’m so proud of it. This was the first time I had used my serger on an actual bag, so I’m hoping that will add an extra layer of stability. With the TARDIS bag made, I took a break for the night. 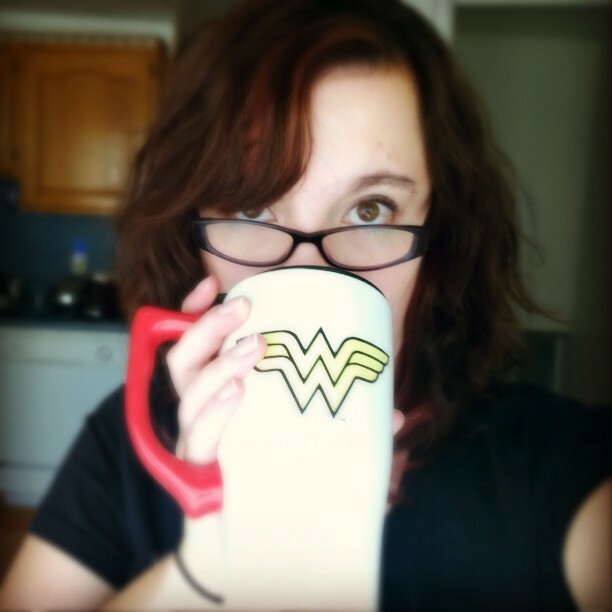 Then this morning, I made myself a cup of tea, sat down with The Fosters playing on my laptop (I’m almost done with the first season) and began working. It took about 5 hours to complete (which is almost a record) but I couldn’t be happier. In Supernatrual there is an episode where it talks about how important the Impala is to the WInchesters. Its just as much of a character as the boys are. Similar to the TARDIS of Doctor Who, the Impala plays a pivotal role in who the boys are in each season. How they treat that car tells you how deep they are into something. The Impala, of course, has all the things other cars have… and a few things they don’t. But none of that stuff’s important. This is the stuff that’s important. The Army man that Sam crammed in the ashtray–it’s still stuck there. The Legos that Dean shoved into the vents. to this day, heat comes on, and you can hear ’em rattle. These are the things that make the car theirs. Really theirs. Even when Dean rebuilt it from the ground up, he made sure all these little things stayed. ‘Cause it’s the blemishes that made her beautiful. The outside of the bag is made from a black canvas fabric so that it’s strong. 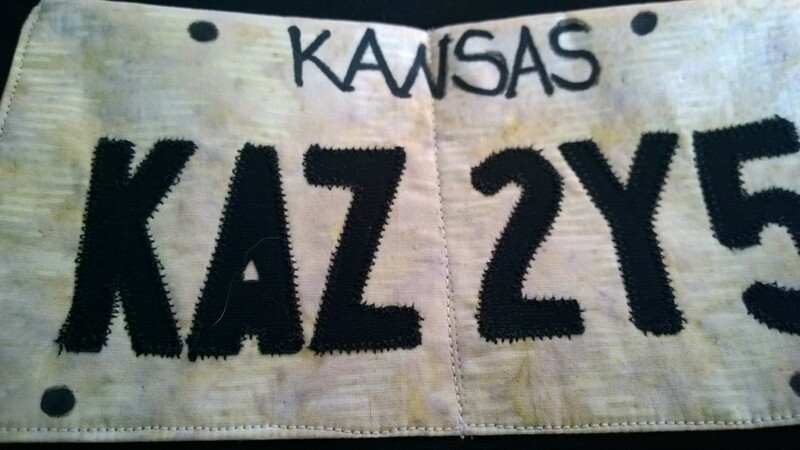 I cut out and appliquéd the letters of the license plate to a pale fabric I found. Finding a fabric that looked worn enough was difficult, I didn’t want to go with plain white, so the texture of this fabric worked well for me. 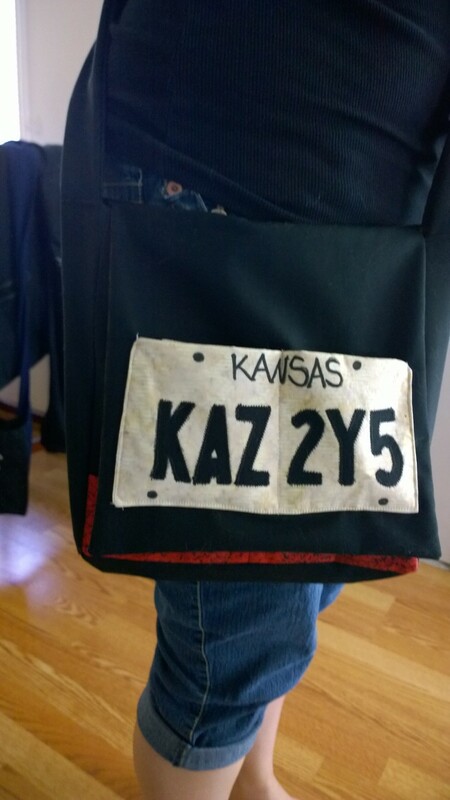 “Kansas” was written by hand and is probably the only part of the purse I dislike. The inside is a dirty brown almost leathery color. 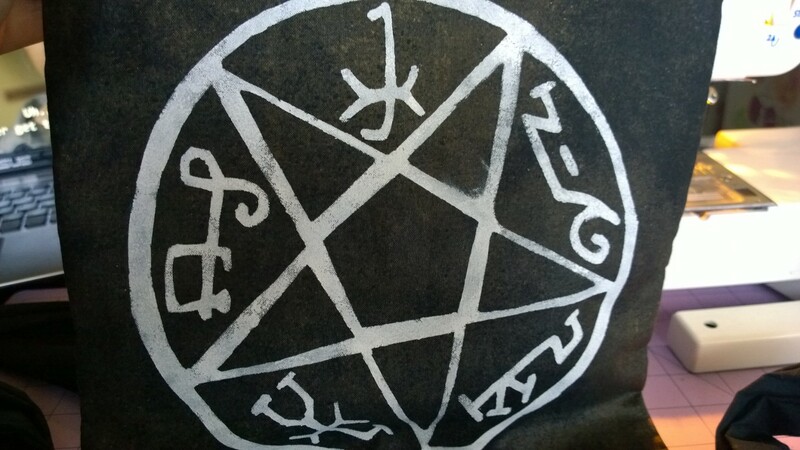 I hand painted (using a stencil I made from freezer paper) the devil’s trap onto the top of the flap similar to the one they have painted on their trunk. Overall, I’m VERY proud of it. I’m glad that it turned out as well as I wanted it to! 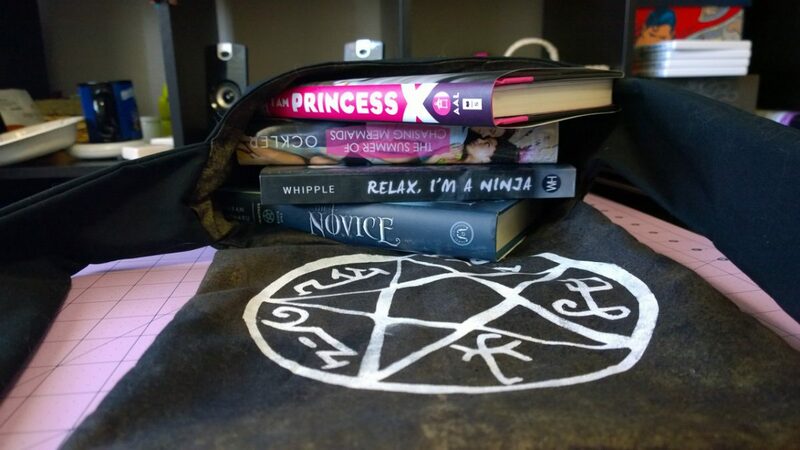 What are some other fandom bags I could try? Let me know in the comments!! !